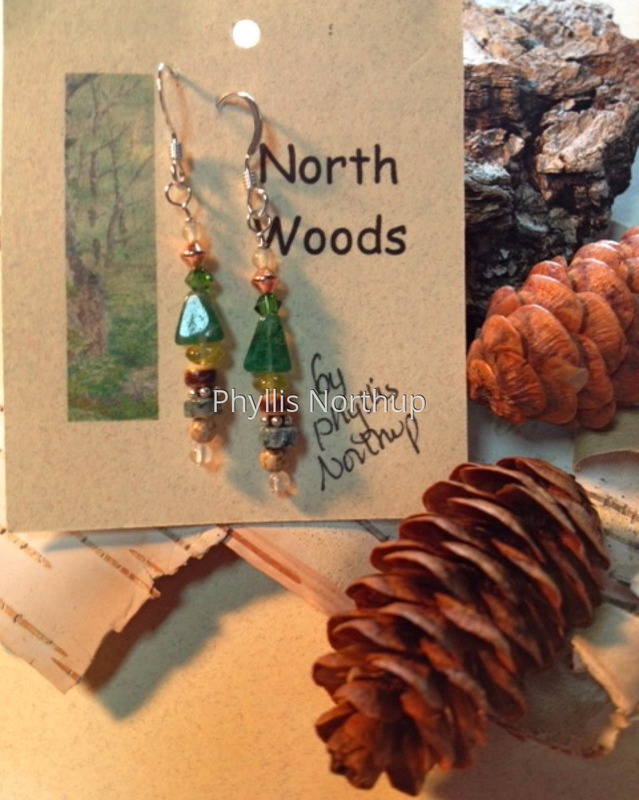 The northwoods forests are a beautiful mix of spruce, fir, pine and mixed hardwoods such as aspen and birch, maples, beech and more. The multitude of greens in the summer creates a wonderful palette of colors, especially with the light filtering through the leaves. With luck, you might spot a bear, deer, or maybe even a moose! The beads are jaspers, agates, quartz, aquamarine, new jade, rhyolite, & other gemstones, Swarovski crystals, glass, wood, with sterling and copper accents. Price includes shipping.